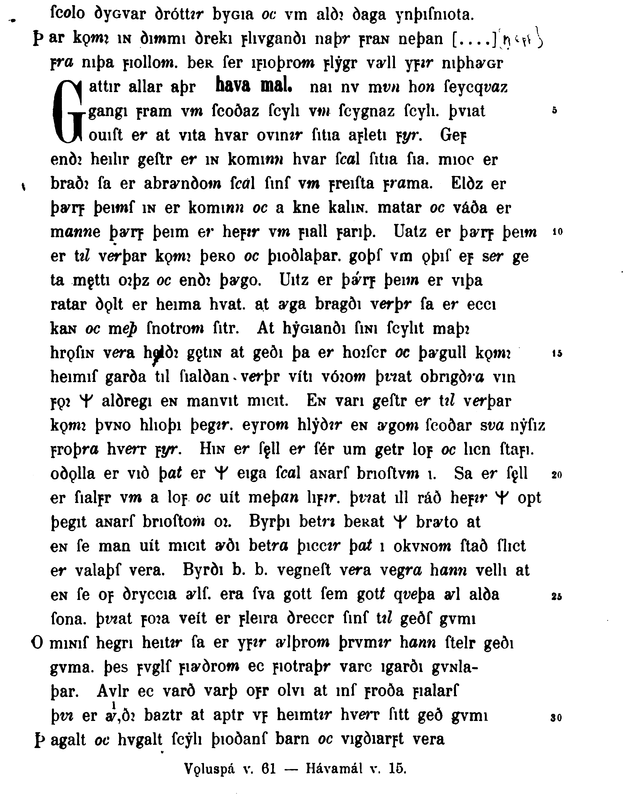 Snorri Sturluson quotes several verses from Völuspá in Gylfaginning. 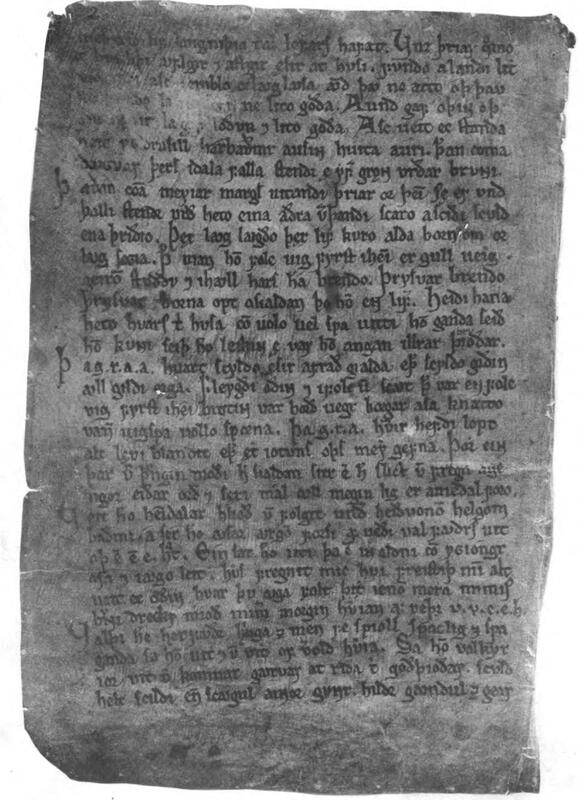 Many additional variant readings occur in the manuscripts of Snorri's Edda. 1817 Frederich David Grater, Volospa hoc est Volae seu Sibyllae Arctoae vaticinium. 1876 Karl Hildebrand as "Völuspá"
"In the day-spring of the ages there was neither sea nor shore, nor refreshing breezes. There was neither earth below, nor heaven above, to be distinguished. The whole was only one vast abyss, without herb, and without seeds. The sun had then no palace : the stars knew not their dwelling places: the moon was ignorant of her power." 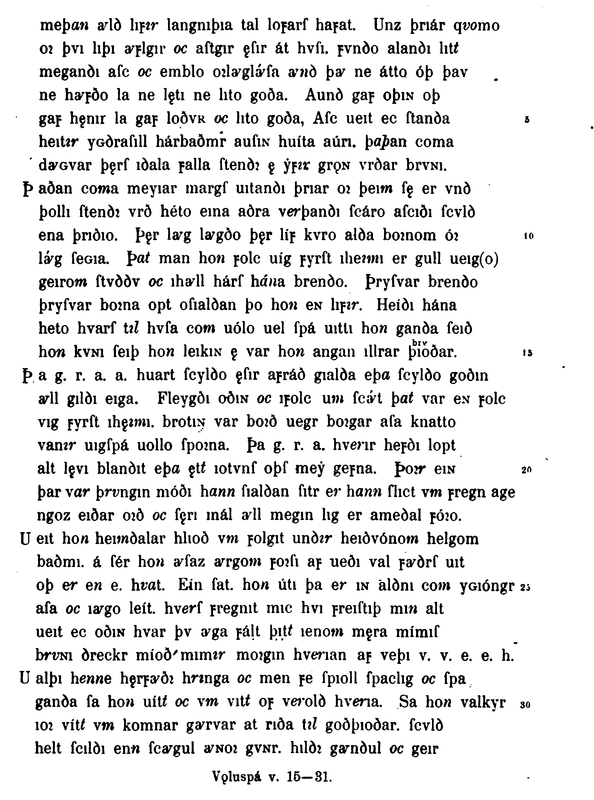 Völuspá is conspicuously absent from the first English-language collection of Eddaic poems: Amos Simon Cottle's, Icelandic Poetry or The Edda of Saemund (1797). 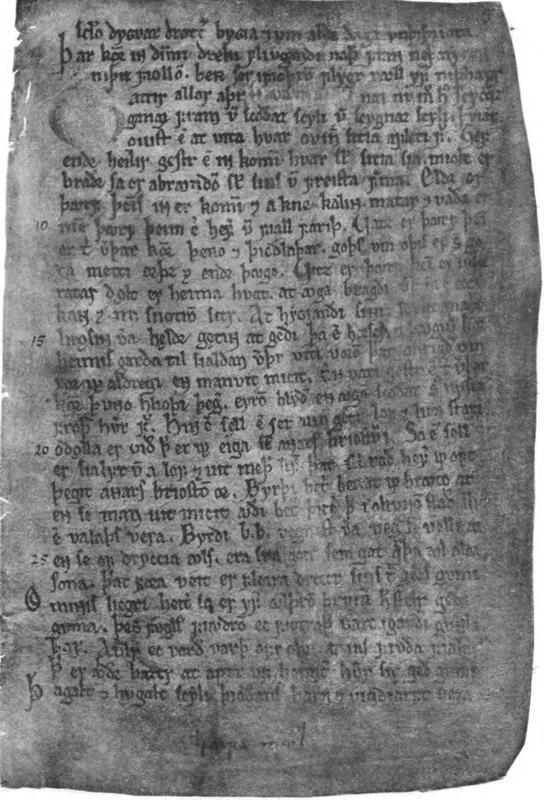 This is because his is a translation of Edda Saemundar hinns Fróda: Edda rhythmica seu antiquior (1787), which did not include the poem. 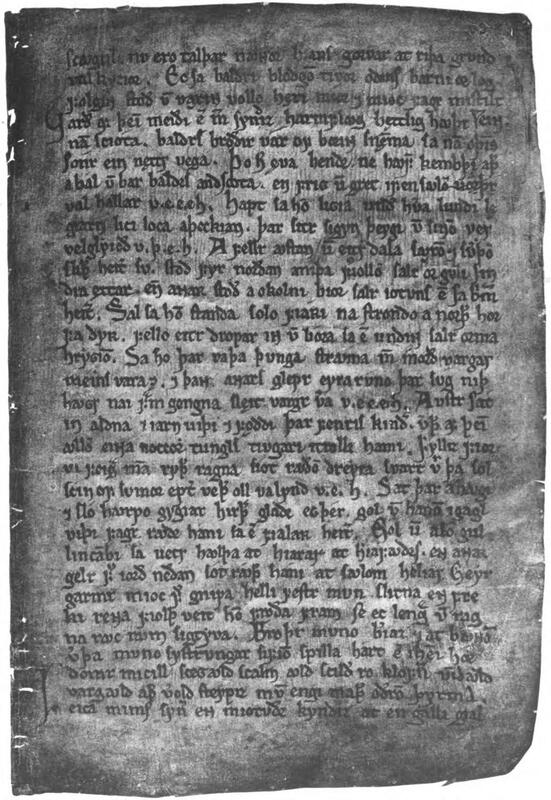 Völuspá and Hávamál had been previously published in 1665 by Peder Hansen Resen in Edda Islandorum. In his preface (p. xxix), Cottle indicates that he "has omitted one ode in this series, on account of its containing nothing of the Northern mythology. It is filled with little else but the absurd superstitions of the Church of Rome." 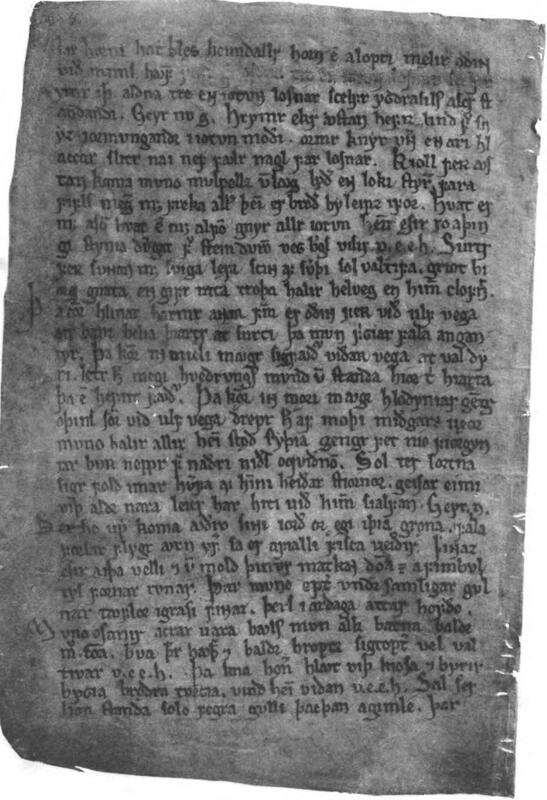 By this he means Sólarljóð. 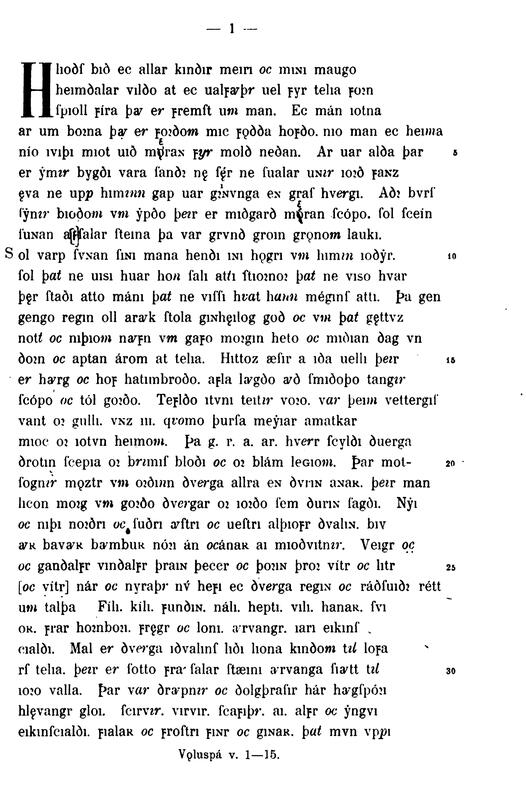 1823 Sharon Turner The History of the Anglo-Saxons as "The Prophecy of Vola"
Contains a reissue of "Select Icelandic Poetry" with additional Eddaic poems. 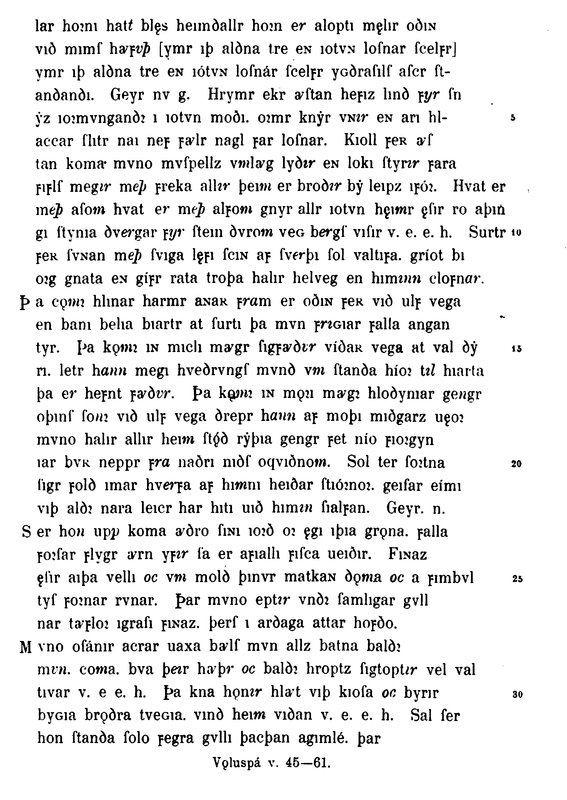 Herbert's poem of 1815, a pale imitation of Völuspá, is now presented in Canto 2 of 'Helga' with critical Notes in English relevant to understanding the Icelandic poem. 1847 from the French of Marmier, "Northern Literature: The Eddas", The Knickerbocker no. 30, "Voluspa"
1898 James Wilkerson in The Book of Edda called Völuspá as "Voluspa, the Hearing, Seeing, and Kenning of the Vala." 1905 Ananda K. Coomaraswarmy as "Völuspa"
1920s and 30s J.R.R. 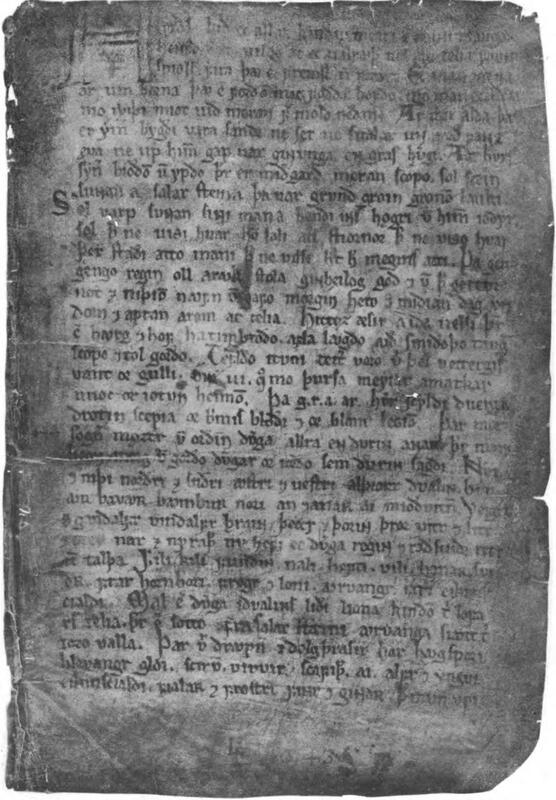 Tolkien, a partial translation in The Legend of Sigurd and Gudrun (2009) as "The Prophecy of the Sibyl"
1930 Watson Kirkconnell in The North American Book of Icelandic Verse as "The Norse Apocalyse (circa 950 A.D.)"
1996 Carolyne Larrington in The Poetic Edda as “The Seeress’s Prophecy"
2001 Bernard Scudder as "The Prophecy"
2011 Andy Orchard in The Elder Edda as "Völuspá: the Prophecy of the Seeress"
2014 Carolyne Larrington in The Poetic Edda (revised) as "The Seeress's Prophecy" (Codex Regius Version) and Appendix: "Hauksbók text of The Seeress's Prophecy"
1821 Finnur Magnússon as "Valas Spaadom eller Spaaqvindens Sang"
1860 En Lægmand as "Valas Sandsagn"
1870 H. G. Møller as "Vølvens Spådom"
1876 Frederick Hammerich as "Vølvespå: Nordens ældste digt"
1763 Louis-Félix Guynement de Keralio as "Vaulospa: Ou L'Oracle de la Sybille"
1838 Frederic G. Bergmann as "Visions de Vala"
1839 Édélestand Du Méril as "Le Chant de la Sibylle"
1842 Xavier Marmier in Chants populaires du Nord as "La Voluspa"
1844 Rosalie du Puget as "Prediction de Wola-la-Savante"
1779 Johannes G. von Herder as "Das Grab der Prophetin"
1818 Frederich Majer as "Die Weisheit der Seherin"
1829 Gustav T. Legis as "Der Völa heiliga Weihsagung und Lehre"
1829 Jakob L. Studbach as "Das Wolagesicht"
1830 Ludwig Ettmuller as "Der Wala Weissagung"
1874 Karl Simrock as "Völuspá: Die Seherin Ausspruch"
1877 Bodo Wenzel as "Der Ausspruch der Vala"
1889 Wilhelm Jordan as "Die Wala Weissagung"
1904 Hugo Gehring as "Der Seherin Weissagung"
1922 Rudolf John Gorsleben as "Seherin Gesicht"
1908 T. Cannizarro as "La Vision della Profetessa"
2005 Dario Giansanti and Oliviero Canetti as "Profezia della Veggente"
1818 Arvid August Afzelius as "Valas Visdom"
1877 Peter August Gödecke as "Valans Visdom"
1906 Karl Ljungestedt as "Valans Spådom"
1997 Ursula Dronke, Völuspá in The Poetic Edda, Vol. II. 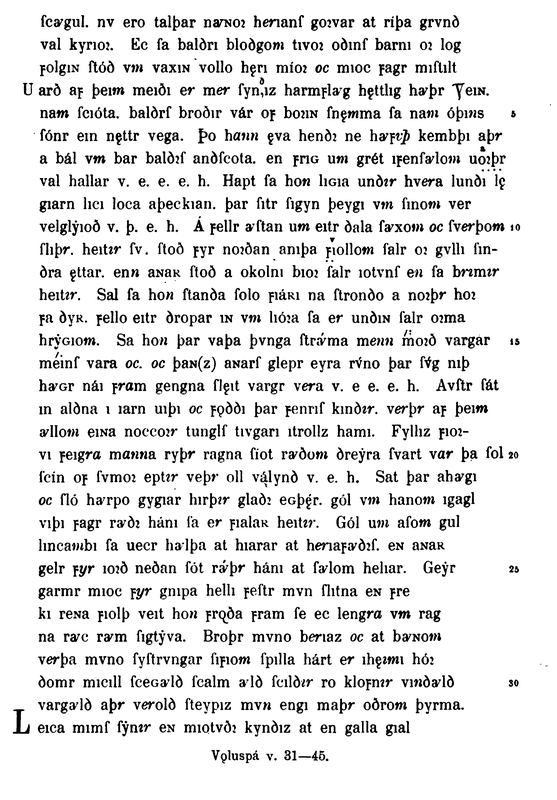 1881 Sophus Bugge, Nogle Bemærkninger om Sibyllinerne og Voluspa in Nordisk Tidskrift IV 8. 163—172. 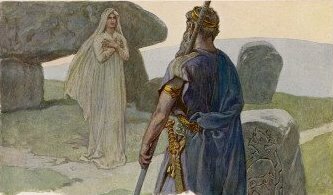 Gro Steinsland, Völuspá: – a Source to Norse Pagan Mythology or a Christian Revelation in Disguise of a Classical Sibylline Oracle? 1988 Paul Schach "Some Thoughts on Völuspá"
1997 Ursula Dronke, The Poetic Edda, Volume 2, The Mythological Poems: "Völuspá" pp. 7-153.